For the number of outdoor cats in Amami Oshima to be 0. 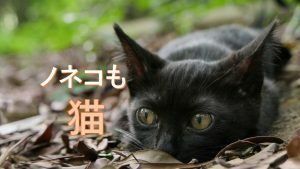 The Ministry of the Environment, Kagoshima Prefecture and Amami 5 cities, towns and villages have formulated the “wild cat management plan for ecological conservation in Amami Oshima” (hereinafter called management plan). For the plan “The captured cat will then make an effort to assign to those who desire breeding, and cats that can not be transferred shall be euthanized using a method that does not give pain as much as possible。” That is to say, it is to catch 3000 wild cats and kill them that could not be transferred due to the prevention of extinction of endemic species such as ”Amami-no-kurousagi (Amami rabbits)”. 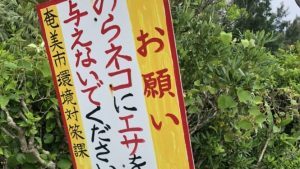 We, the Animal Foundation announced against the Ministry of the Environment, Kagoshima Prefecture and Amami 5 cities, towns, villages, and proposed “Amami Sakuraneko Project“ as an alternative solution on this time. （Sakuraneko means as a sterile contraceptive sign, cut the cat’s ears a small slit at the tip like a cherry blossom petal.） The following is our proposal “Amami Sakuraneko Project“. The ecosystem in which unique biological evolution is found, and “Amami Oshima, Tokunoshima, Northern Okinawa Island and Iriomotejima” (Kagoshima, Okinawa Prefecture) with biodiversity inhabited by rare creatures such as Amami rabbits, Iriomote wildcat and Okinawa rail）has been aiming to be registered as a World Natural Heritage site. 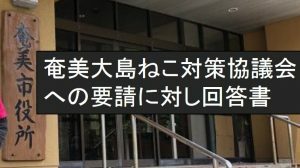 And the Ministry of the Environment, Kagoshima Prefecture, Municipality of Amami Oshima seems to think that reduction of Amami rabbits by the prey of wild cats is one of the major obstacles to the registration of the World Natural Heritage. For this reason, large-scale wild cat capture plan is now being implemented by them. The plan is to capture 3000 cats living in the forest over 10 years and kill them if they can not find the transfer destination. 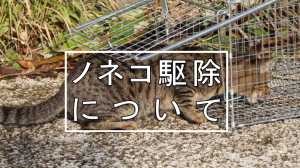 From the data collected by us, it is unlikely that reduction of Amami rabbits is caused by predation of wild cats, and we believe that catch and killing of wild cat will not have any effect in reducing cats. 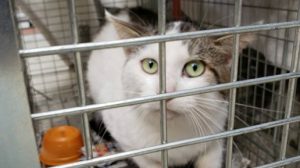 The remaining cats, wild cats, stray cats, and many pet cats on this island not have contraceptive castration surgery, will continue breeding afterwards. 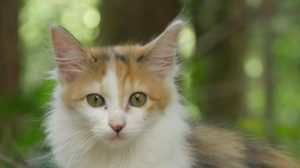 It is meaningless to keep killing newly born cats and killing them forever. Furthermore, we feel a great sense of crisis that the plan will be carried out with the position “disinfecting wild cats by the Wildlife Protection Law”. The borderline between Wild cat and Stray cat is ambiguous. So, we made the following decision. The Animal Fund will open “Amami Sakuraneko Hospital” in Amami Oshima this summer. “ Amami Sakuraneko Project ” is starting. ★We request cooperation such as cat catching etc. 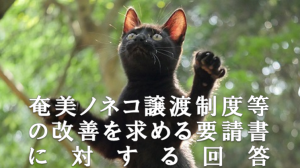 to ‘Amami Oshima cat countermeasure council’ and challenge 10,000 cats with sterilizable surgery system in one year. ★The Animal Care Foudnation operates Amami Sakuraneko Hospital. Copyright(C) 2016 doubutukikin All rights reserved.